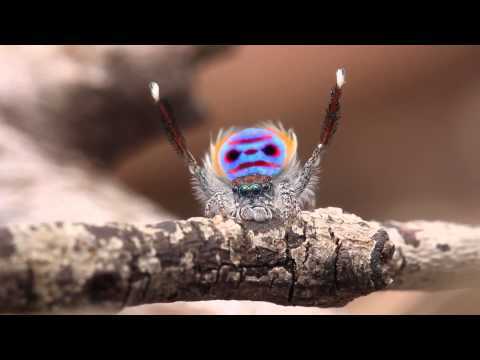 Put on your dancing shoes and join this Peacock Spider while he dances to the YMCA! It's pretty entertaining. After watching this clip I was eager to find out why Peacock Spiders move this way. It's actually their way of attracting females during mating season. They use different gestures and lift up their tails hoping to catch the attention of a female. For a creature so tiny, the display is surprisingly complex and visual. Be sure to click on the "Play Video!" link below and get ready to boogie!